Alibaba’s Double 11 is more focused on Tmall for brands on Tmall while Dobule 12 is more towards social commerce for smaller merchants and individual sellers via blogs, live-streamed videos and other promotional content. Mobile Taobao has been developing new social commerce features within its mobile app, such as the hosting of special interest groups called Quanzi (circles) where like-minded individuals communicate. One of the most popular social functions on Mobile Taobao is a Q&A feature that enables shoppers to ask questions and get answers from the community. 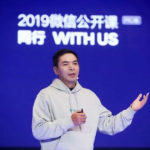 Taobao Headline, a news aggregator within the Mobile Taobao app with over 100 million MAUs, has been featuring a “topic of the day” to encourage users to tell personal stories. More than 30 million consumers make purchasing decisions based on feedback offered from their peers on Taobao through Wendajia, Taobao Mobile app’s Q&A feature. According to Taobao, video bloggers, retailers and others broadcast more than 20,000 live-stream video sessions in the lead-up to Double 12. A live broadcast hosted by fashion blogger Zhang Linchao, who has about 3 to 4 million followers on Weibo, on 6 December 2016, attracted more than one million viewers. Double 12 promotion via Alipay Koubei started on 10 December drives huge promotion in offline retail stores; over 1 million retailers have registered their participation this year. Shoppers can enjoy special discounts and offers if they make payment with Alipay.